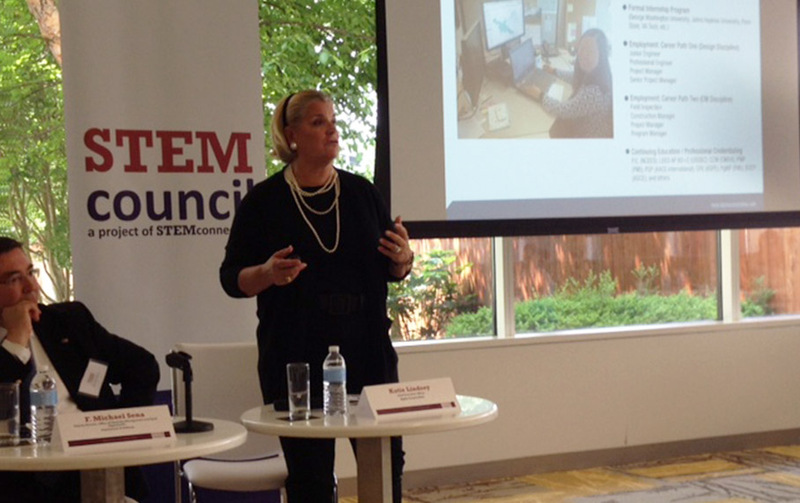 CEO Kate Lindsey of Alpha Corporation joined a panel discussion at today’s STEMconnector Council Meeting to help launch the release of STEMconnector’s latest publication—”STEM 2.0-An Imperative for Our Education System & Future Workforce.” The audience comprised an array of key decision makers towards advancing the principles and core concepts of STEM. From leading universities to Global 1000 companies, representatives were present from NYU, ASU, the Maryland Business Roundtable for Education, PepsiCo, Sodexo, National Science Foundation, and others. Kate Lindsey’s panel focused on corporate STEM Council perspectives.